Description: This is a very popular type of national currency. It is called a “lazy deuce” because of the sideways 2. These were issued by national banks between 1862 and 1878. You will definitely want to contact us if you have one of these. 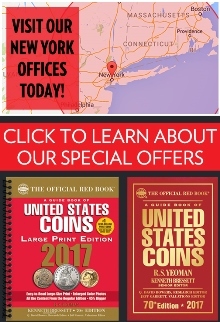 Seal Type: We are showing a two dollar national with a spiked red seal. These were issued before 1875. The later variety has a more rounded red seal. There really isn’t a collector preference for one type over the other. 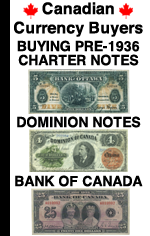 Varieties: Hundreds of national banks issued two dollar national bank notes during the early days of the national currency era. 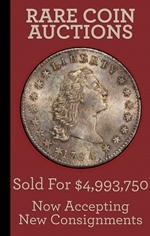 The large majority of collectors are concerned about the bank of issue and the serial number. However, there are seven varieties based on the signature combination alone. The Jefferies Spinner combination is the rarest. Value: Heavily circulated but fully intact $2 NBNs sell for around $1,000. A very nice lightly circulated note would be worth around $2,500. There is a totally different range of values if we are talking about choice uncirculated notes or notes from rare banks, then the value can by much higher. Don’t just assume your note is common. There are lots of different factors in play. Contact us for exact pricing. 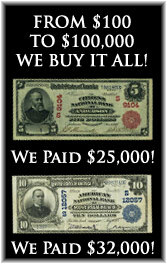 We buy all of these $2 national bank notes issued by The United States. The main factors that affect the value are the condition and sometimes the serial number. We have to see pictures in order to provide any value information. You can text pictures to 864-430-4020. You can also attach pictures to an email message. You’ll never know what we would have offered unless you ask. The value might surprise you in a good way.